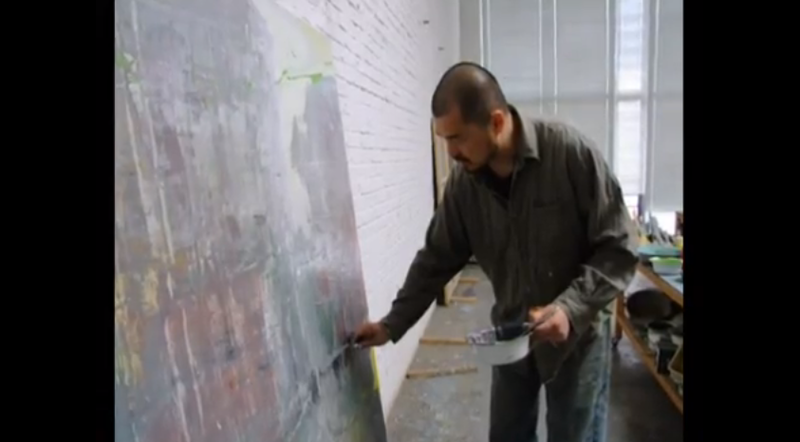 Bejing-based artist Lianghong Feng has made this video in 2011 for CYNTHIA-REEVES. Feng produces lush abstract paintings inspired by a heady mixture of ancient Chinese philosophy, calligraphy, Eastern and Western art history, and urban graffiti. He covers his canvases with beautifully complementary passages of color and all manner of marks, including fat, paint-laden brushstrokes; thin, sketchy scribbles; drips; daubs; and splatters. He often begins with a naturalistic landscape, which he then partially obscures with an overlay of his abstract marks. Feng both refuses and accepts categorizations of his work—a Zen-like position that acknowledges our natural inclination to define works of art in concrete terms, while also insisting upon the freedom to approach his practice with originality and without preconditions.